NATIONWIDE, October 24, 2013—Emmy award-winning singer and songwriter Faith Rivera is best known for her inspirational and uplifting music. As a gift to the heartwarming and invaluable work that family and private caregivers provide to home-bound loved ones, Faith Rivera hosts a free monthly Caregiver’s Concert. Each month on the last Tuesday of the month Faith Rivera hosts an hour long musical retreat from 10am-11am PST. This free virtual Caregiver’s Concert can be viewed from anywhere with an internet and audio connection. This hour long concert gives caregivers whose responsibilities require them to spend the vast majority of their time at home caring for their loved one, a much needed break from the monotony. Faith Rivera has performed with music legends like Luther Vandross and Neil Young. Her music has been featured on hit TV shows like Hawaii 5-0 and ER. Her music is popular choice for motivational speakers and inspirational authors at their live public events. From heartfelt ballads to high energy hip shakin’ original tracks, she has a little bit of something for everyone. 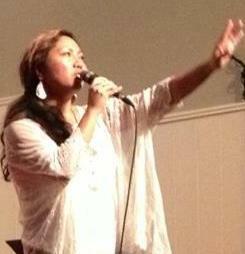 "As a singer, songwriter, dynamic performer, and inspiring messenger, Faith Rivera has it all. Again and again I have seen her creativity, wisdom, and energy inspire, uplift, and transform an entire community." Mary Manin Morrissey, Author of "Building Your Field of Dreams"
Faith Rivera’s monthly concert can be accessed via live stream on YouTube. The Caregivers Concert is perfect for caregivers, stay at home parents, seniors, and anyone home-bound and in need of a musical retreat. To attend her free Caregiver’s Concert go to http://www.faithrivera.com/tour or search "Faith Rivera" "Caregivers Concert" at http://youtube.com.